It’s that time of year again — TAX season. As many of you are working with clients, you may have gotten comments about tax refunds being less than expected. After all, taxes were reduced, and deductions increased, so shouldn’t refunds be larger? Well, tax refunds are only down eight percent on average this year (IRS.gov). However, I think we all seem to be hearing about those cases in which certain individuals were hit harder. The three most popular reasons for lower refunds are; 1st the loss of a $4,100 personal exemption, 2nd limits on state and property tax deductions, and 3rd, perhaps the most substantial impact, more money in your paycheck with adjusted withholdings. Conventional financial wisdom from many CPAs and financial planners advises clients to stash more away into tax-deferred accounts like IRAs and 401(k)s to solve an immediate tax issue, sometimes ignoring what those same tax savings today will cost in the future. Perhaps we need to see tax rates go back to 80+% like they were sixty years ago before people start saving for retirement differently. We are currently over $22 trillion in debt. A pretty interesting website along with videos depicting that debt can be found at http://demonocracy.info/. To give us perspective, we have doubled our national debt in just the last ten years, and have tripled it in the last fifteen years. In the year I was born, 1982, we were just under $1 trillion of debt, and we are now 22 times that amount! Plain and simple, taxes have to go up at some point, and we might all agree that they’re not only on sale today, but actually predictable right now. A typical 50-year-old saving for a retirement age of 67 will gamble with 401(k) contributions in hopes that the tax rate is lower in twenty years when they access the cash. Of course one of the unique investments that works unlike anything else is cash value life insurance. We can pay that tax now, and take it tax-free at retirement. While IUL is an amazing product, the IUL industry is spinning right now. We had a major regulation put into place about three years ago requiring us to show clients specific RORs and specific loan arbitrage. At first glance, these regulations made sense. They made sense to me and everyone else who thought a 10% ROR on an IUL illustration was absurd. However, the regulation Actuarial Guideline 49 (AG49) has had the opposite effect. Insurance carriers are simply revising products to illustrate at 6-7% which seems reasonable, but they have added crediting bonuses and increased fees. Don’t get me wrong, crediting bonuses are great, but it’s starting to get out of hand. To pay for many of these bonuses, fees and costs on IUL have nearly doubled and tripled. In addition to insurance carriers trying to outpace regulations, we have new CSO tables which must be used for ALL life insurance products. What this means is clients are living longer, and because of that, every insurance carrier must revise or create new products using the updated mortality tables. The deadline for this is 01/01/2020 so we will see a plethora of new products come out this year in the life insurance space. The effect will be different for each type of life insurance. We would assume everything should be less expensive. However reserve requirements have also increased, so even though people are living longer, premiums will go up for most policies. Asset’s life team will work diligently to keep you informed as this happens. We’re committed to vetting out products thoroughly before recommending them to you. Life insurance is a long-term commitment, sometimes as long as 30, 40 or even 50+ years. For this reason, it’s vitally important to make sure the products we recommend are not just the best today or a year from now, but even more important that they stand the test of time. Allianz, National Life Group, and Minnesota Life have been core carriers for us on the IUL side, and they have all held true to their promises. You won’t get a product recommendation from Asset because the cap is high today when we know that same cap rate is just as important year after year. The Asset life team spends a tremendous amount of time understanding carrier pricing and product development to assure the best solutions. Back to taxes…have you used the Planning Compass with a client before? Do you know what the Planning Compass is? This tool compares all of the statistics discussed above to determine which product makes the best sense to use when saving for retirement. It’s a dynamic calculator that compares cash value life insurance with tax-deferred accounts. Start by filling out the Request Form then call our life team to schedule a thirty-minute phone/web call with us to show you the power of this tool. There is over $2.5 trillion in IRA assets in the United States, and when I speak with advisors, they all tend to agree with me that taxes are on sale and the future holds tax increases. If we can agree on that, how about we all do our clients a favor and take some of that $2.5 trillion in IRA assets and convert them to a Roth IRA. Contact our annuity team at 888-303-8755 to tell you about Fixed Indexed Annuities that work well with Roth conversions! If you missed Kurt Metcalfe’s breakout at Sales & Networking on “Annuity Product Niches” which includes these “Roth-friendly” annuities, you need to hear it. Taxes are inevitable, so let’s do all we can to protect the retirement incomes of our clients from them! Referrals, the holy grail of any enterprise, are a byproduct of providing exceptional service and value to your existing clients. So much so that they want to share you with their friends and acquaintances, and so you become referable. Informing and educating your clients about Qualified Charitable Distributions (QCD) and the benefits of using them while filling out their tax forms, I believe is one of those opportunities to add value. The more value you add, you more likely you will become more referable. What is a QCD? QCD have been around in some form since the Pension Protection Act in 2006. Their value changed as a result of the Tax Cuts and Jobs Act of 2015. And under current tax law, they can provide an additional benefit for tax years 2018 through 2025. Before 2018, the QCD strategic importance lay primarily in the fact that it could help older taxpayers meet their philanthropic goals while also satisfying individual retirement account (IRA) required minimum distributions (RMDs). 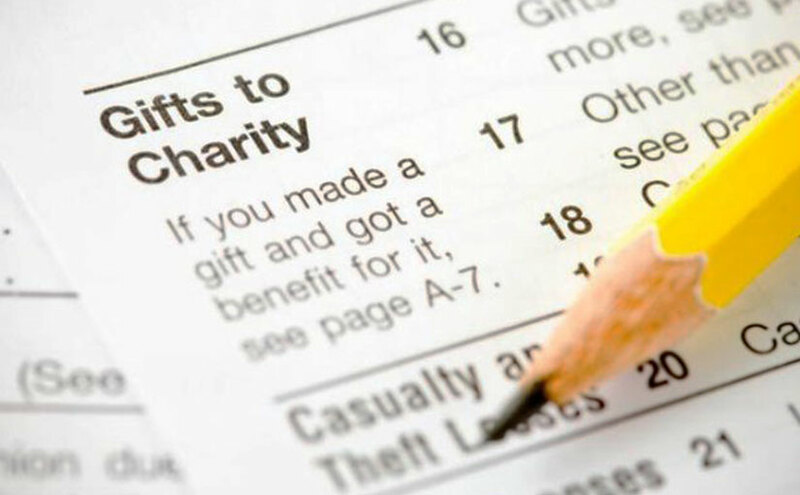 Since the passage of the Tax Cuts and Jobs Act of 2017, and the increase in the standard deduction, many individuals find themselves in a position where their total itemized deductions do not exceed the standard deduction, so deducting charitable contributions will not have the benefit it may have previously. Here’s an example: For the 2018 tax year, a couple plan to file jointly. They are both age 75 and anticipate adjusted gross income (AGI) of $125,000, including $60,000 in RMDs. If the QCD were utilized, the taxable income would be $93,400 saving approximately $1,100 in taxes. Let’s try and make this a little easier. What is a QCD in a nutshell? It is a section of the tax code designed to help older Americans fulfill their charitable wishes directly from an IRA. What does it do? It allows individuals who are required to receive required minimum distributions from IRA’s to have their, or some portion of their RMD, sent directly to the charity so that the RMD does not show up as income on the individual’s tax return. What does that mean? You can still make your charitable donations, and by using the QCD, you may be able to save some taxes along the way. Reach out to your Business Consultant for more information on QCD, the rules, and limitations. You can also begin talking to your clients currently receiving RMDs. Start the conversation by asking if they are giving to a charity annually and if they are utilizing the QCD? This is one of many ways to add value to your clients and become more referable. We have a great brochure, “A Guide On How To Gain Clients Through Effective Referral Process,” that shares other ideas to attract more referrals. Reach out to your Marketing Consultant with any questions and on how you can get started at (858) 303-8755. 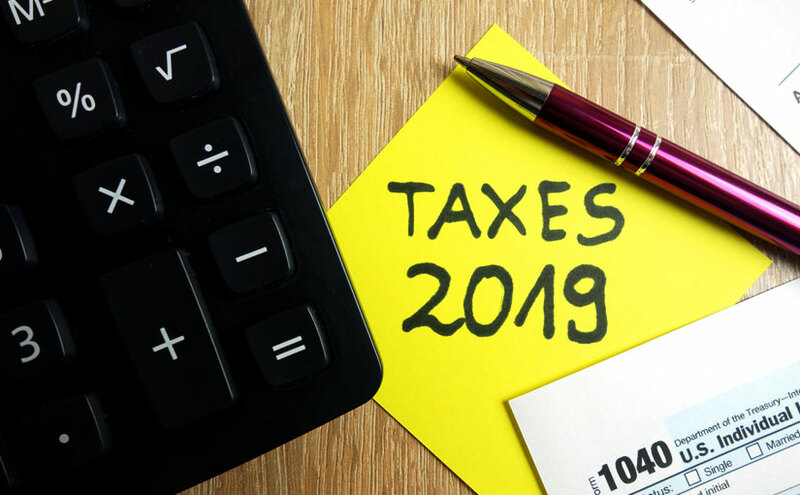 However, Roth conversions are available to all, and while a conversion will increase this year’s taxable income, many experts agree that income taxes are “on sale,” including industry guru and CPA, Ed Slott. Every one of your clients has the opportunity to consider a conversion and for many that may make a lot of sense to do now and for the next several years under the current tax structure. 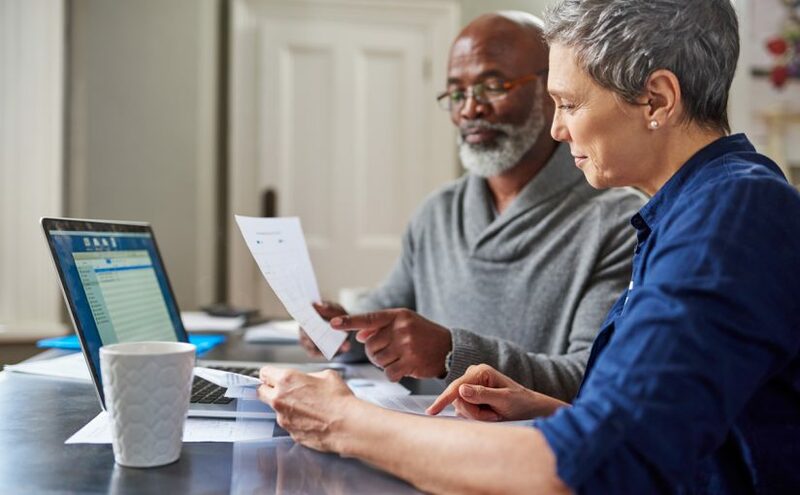 Consider an example of a married couple age 65+ filing jointly with $30,000 of Social Security as their base income and $3,300,000 or less in retirement accounts. With a life expectancy of 20 years, your client can use or transfer from their retirement accounts up to $166,100 per year or $3,322,000 at 14% income tax. 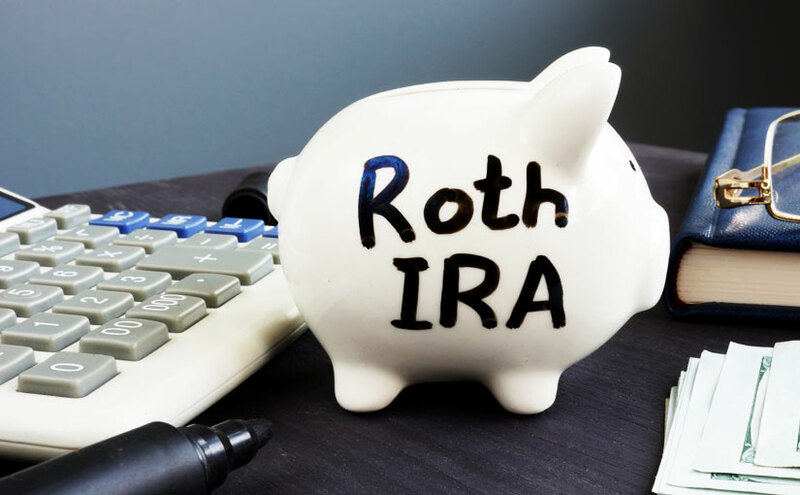 capitalize on all the benefits of a Roth IRA. Some producers also like to use a large income rider bonus solution for clients. Besides, who doesn’t like the sound of tax-free income for life and a tax-free death benefit to boot? Contact our Asset Marketing Systems Team to explore the best options for your clients today at 888-303-8755. Some eye-opening statistics, right? Well, despite these numbers, women are largely under-targeted when it comes to financial services. When it comes to managing money, paying for major expenses or planning for retirement, the needs of women are unique. Many may be intimidated by the financial world or perhaps they have put off saving for retirement because they are taking care of others or maybe they just don’t know what’s the best move to make regarding their finances. In any of these scenarios it is important to recognize the challenges that your female clients are facing and approach it in the best way that you can – which can often times be a different approach than you would use with your male clients. How can we better market to these needs? By using language referencing family and legacy. These topics can segue into others such as retirement and succession or inheritance planning. Targeting the female demographic doesn’t have to be complicated. Here are some simple ways that you can facilitate a deeper connection. Does your area have a women’s organization? Get involved! Offer to be a sponsor for events they may be hosting and participate in them if possible. Getting to know the community on a deeper level helps to alleviate any concerns or trust issues individuals might have going into the process of working with you. Invite your female clients, wives and daughters of clients to an event catered to them. Host a wine or chocolate tasting, facilitate a private yoga class, or do a fun cooking event. The possibilities are endless, and any of these can be easily transformed into a referral or educational event. Seek out women of influence in your community and form a working relationship with them. Ensuring that they are excited about your business’s mission and vision, collaborate on events to engage like-minded community members. Utilize their reach to create real, authentic content that appeals to your audience. For more information on how you can implement these tactics into your marketing plan, contact your Marketing Consultant at 888-303-8755. March is National Women’s Month and if you have read our life section article you maybe are shocked with some of the statistics. If you have not read it, I would encourage you to do so. One way to help mitigate some of those risks many women face in retirement is by offering an annuity solution. I would say that it does not always make sense to sell a guaranteed income annuity instead of an LTC policy, we find that many times that is a client’s best option because there is NO medical underwriting involved for these benefits. Not to mention, just about every client will need a guaranteed lifetime income, why not sell one with home health care benefits? Instead of medical underwriting, there will be a two or three-year waiting period before home health care benefits can be taken advantage of and it could take 3-6 months to qualify for after that waiting period. Most advisors and clients have no issue with those waiting periods because it also gives the time to allow the income and income account to grow. 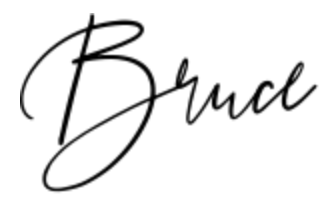 The proprietary products Asset offers through North American, PrimePath 12, not only provide a joint guaranteed lifetime income without a fee, they also provide home health care benefits, doubling the income if either spouse cannot complete two out of six Activities of Daily Living (ADLs). Neither annuitant needs to be in a facility but rather can receive an enhanced income at home. PrimePath is often used for joint benefits because their home health care benefit does not reduce joint payouts. Here is an example; if your guaranteed joint lifetime income payment is $10,000 and you qualify for their HHC benefit, it will go to $20,000. There are a few insurance companies who have this benefit; however, they typically increase by 150% for joint versus 200% for single life income. If you do have a separate life case, I would like to draw your attention to the F&G Safe Income Plus. The Safe Income Plus is one of the best income products on the market even without the home health care benefits, and they will also double your income for home health care much like North American. They will have higher guarantees than North American and work really well for single life guaranteed income cases. Please also note that F&G’s product and HHC benefit is available in many more states, such as California! Contact our team today for more information on any these featured products at 858-303-8755. Our Specialists are also here to help you with any illustrations and scenarios. And take a look at Asset’s new life and annuity quote request tool. Womens’ financial lives are also often more complex than mens’ as they may need advice surrounding their roles as primary caregivers for not only their husbands but also their aging parents. Taking these facts into consideration, the industry should stop treating women as a small niche market that it could possibly serve. They are the market and their presence will continue to grow. In fact, according to statistics, women already make 80% of the purchasing choices in the current market. The greatest risk women face in retirement is LONGEVITY! Longevity means that women have a higher risk of suffering debilitating illnesses, spending more on healthcare costs, and have a higher risk of ending up in skilled nursing care. Living longer means that women need to make sure that their money lasts as long as they do. 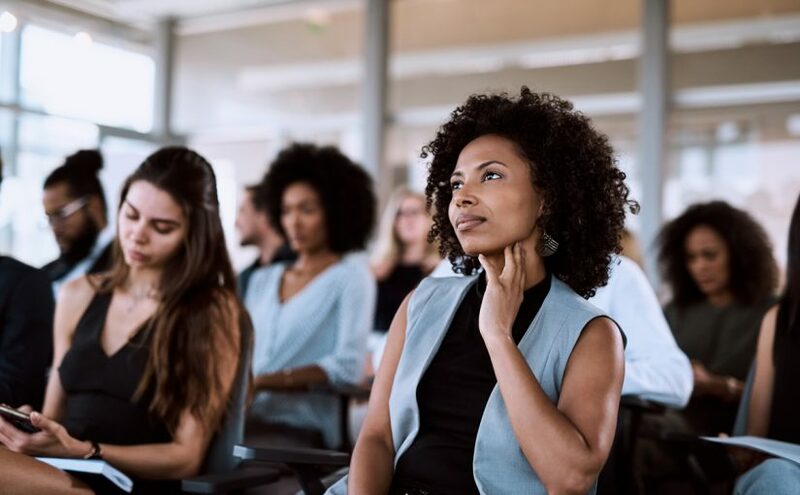 To help women plan for retirement, we need to help them grow and protect assets, as well as account for the traditional risks, such as inflation, taxes, and market risk. There should also be a focus on longevity risk, including planning for health care costs and the likelihood of needing some form of Long Term Care at some point. Remember the goal of most women, is to never be a burden to their children. If we can help them put that fear and worry to rest, we will allow women to live their BEST lives in retirement. One of our best product recommendations that addresses this concern is an Asset Based LTC/Life policy or Asset Based with Chronic life insurance policy. These policies can be designed to protect women from many of these risks while adding additional protection benefits when a spouse passes. Take a look at Asset’s new client approved brochure called Understanding The Importance of Long-Term Care and call the Asset Life Department to have us run an illustration for you at 888-303-8755. 1. Ryan Gorman. Business Insider. April 7, 2015. “Women now control more than half of US personal wealth, which ‘will only increase in years to come'”. really want and how to change the dialogue”. I would say that it does not always make sense to sell a guaranteed income annuity instead of an LTC policy, however we find that many times that is a client’s best option because there is NO medical underwriting involved for these benefits. Not to mention, just about every client will need a guaranteed lifetime income, why not sell one with home health care benefits? If you do have a separate life case, I would like to draw your attention to the F&G Safe Income Plus. The Safe Income Plus is one of the best income products on the market even without the home health care benefits, and they will also double your income for home health care much like North American. They will have higher guarantees than North American and work really well for single life guaranteed income cases. Please also note that F&G’s product and HHC benefit is available in many more states, such as California! The S&P 500’s 200-day moving average is important to trend-following tactical investors looking for signals about whether they should be in or out of the market. How might this work? Here’s one simple and popular iteration. If the S&P 500 is above its 200-DMA, own it. If it closes below, shift to bonds (say, the Barclay’s Aggregate). This approach has provided slightly better returns than the S&P with lower drawdowns since 1997, when daily data became available. However, that result assumes perfect execution, free trading, and no taxes, none of which are available. Moreover, it assumes we’ll be able to stick to the model through thick and thin, through 160 signals during that time. Were you using that approach currently, for example, you’d still be out of the market despite its big gains since Christmas. Domestic stocks moved very modestly higher last week, helping most of the major indexes record their seventh consecutive weekly gain. Within the S&P 500, utilities shares fared best, followed by the larger industrials and information technology sectors. Energy stocks fared worst as oil prices drifted lower. The Sino-U.S. trade dispute moved back into the headlines last week and seemed to play a large role in driving sentiment. Stocks reversed an early rally Thursday and headed lower following remarks from National Economic Council Director Larry Kudlow, who told Fox News that negotiators had “miles to go before we sleep,” echoing not only Robert Frost but also Commerce Secretary Wilbur Ross, whose remarks about being “miles and miles” from an agreement sent markets lower in late January. Later Thursday, CNBC reported that President Trump and Chinese President Xi were unlikely to meet before March 1, the 90-day tariff truce deadline the U.S. has established prior to raising the tariff rate on Chinese goods to 25 percent. CNBC also reported that the U.S. was likely to keep the current 10 percent tariff rate steady in the absence of a meeting, but confidence in a delay seemed to diminish Friday, sending stocks lower again. Weak economic data from overseas, particularly from Europe, also seemed to weigh on sentiment. 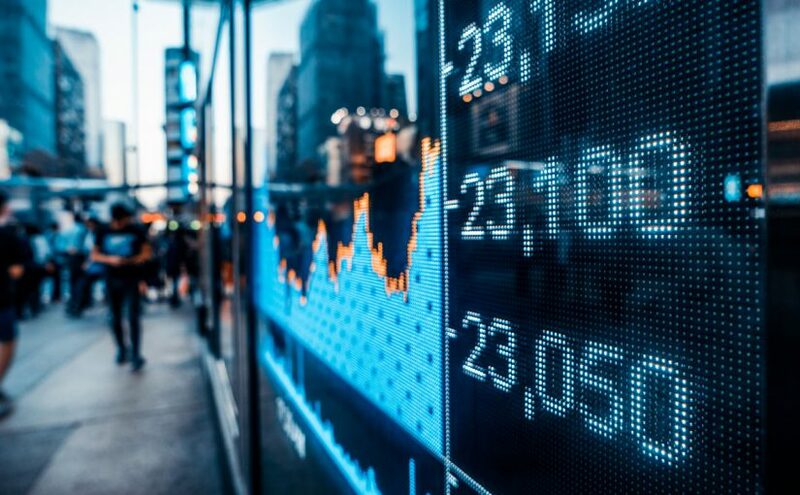 The pan-European STOXX Europe 600 was slightly lower on the week amid fresh trade worries and weak data that underscored the extent of the growth slowdown in the eurozone and its largest economy, Germany. In Asia, Japanese were down a bit more for similar reasons while Chinese markets were closed last week, as the country brought in the Year of the Pig, symbolic of wealth. After the Fed’s dramatic reversal nearly two weeks ago, analysts have been left to ponder why Chairman Powell and his colleagues changed course. The best bet is because of China, where the economic data are troubling. Three years ago, then Fed Chair Janet Yellen executed a similar course correction in response to weakening Chinese data. Instead of four rate hikes in 2016, as previously signaled, the Fed proffered only one. China’s manufacturing numbers today are back to where they were when Yellen’s Fed made its turn. A new turn is not predetermined, obviously, but Powell’s remarks give him that flexibility, should he decide to exercise it. Last week’s jobs report was terrific, as I reported here a week ago, but the bond market’s reaction to it has been surprisingly subdued. On Friday, the benchmark 10-year U.S. Treasury note closed at 2.63 percent. That level hardly suggests an overheating economy. Indeed, Yellen recently said that it’s possible that the Fed’s next move could be a rate cut. I wouldn’t say that’s likely, but it’s hardly unreasonable. The evidence keeps getting clearer that, as I argued here a week ago, the Fed won’t likely do much on interest rates in 2019, which is good news for stocks. Other news and notes follow. The latest SPIVA results are in from S&P and they are consistent with what we have seen before. Institutional money managers routinely underperform their benchmarks, largely on account of fees. Morningstar came to a similar conclusion: 2018 was yet another year to forget for active managers. I am not the only one identifying China as a key threat to the stock-market rebound, a month after warnings of a slowdown in the world’s second-largest economy rattled markets across the globe. However, international investors poured more money into Chinese stocks last month than in any month on record. As noted above, stock markets in China were closed last week, which also means at least seven days without any disappointing data. The U.S. is dispatching its chief trade negotiator, Robert Lighthizer, and Treasury Secretary Steven Mnuchin to Beijing to continue trade talks as a March 1 deadline nears. While the two sides have made progress, they are still a long way from a deal. And President Trump probably won’t meet Xi Jinping before the deadline. Small business owners’ confidence in the economy fell for the fourth straight month in December, while their outlook on business conditions sank to the lowest since late 2016. Consumers’ future expectations for the economy posted the largest three-month decline since late 2011. The Fed’s latest survey of senior loan officers found that banks expected tighter standards, weaker demand, and worse performance for business and household loans this year. Such measures of sentiment continue to show negative economic expectations while actual economic trackers, such as the most recent jobs report, continue to be strong. That sort of divergence often augurs a coming downturn, sometimes within six months or so. Twenty-six of the 30 stocks in the Dow Jones Industrial Average and 465 of those in the S&P 500 have climbed this year. All 11 S&P 500 sectors are in the green for 2019. After months of downward revisions, analysts now expect the S&P 500 to post a year-over-year earnings decline in the first quarter of 2019, according to FactSet. As recently as September 30, analysts predicted the earnings growth rate for the current quarter would hit 6.7 percent, in part due to the impact of the 2017 tax cuts burning off. Earnings growth in the fourth quarter of 2018 is on track to hit 12 percent, with nearly half of S&P 500 companies having released quarterly results so far. If their estimates prove to be true, it would be the first year-over-year contraction of S&P earnings since the second quarter of 2016. How are President Trump’s tariffs working? A typical American family will spend $60 extra per year due to tariffs. Duties on steel and aluminum cost Ford $750 million last year, according to the company. As a result, profit-sharing checks to Ford’s hourly workers were slashed anywhere from $750 to $1,850 each. Americans 60 years old or more owed $86 billion in student loan debt, their children’s and their own, at last count. Student debt is a major contributor to the overall increasing debt burden held by seniors. After a banner year, many small businesses are becoming more cautious about their investment and hiring plans. Just 14 percent expect the economy to improve this year, while 36 percent expect it to get worse. U.S. stocks and bonds have been rallying together of late, an atypical pattern that some worry suggests the January rebound in equities is fated to run up against a painful reversal. Bill Gross, the one-time “Bond King,” retired after a disappointing final act. His farewell interview is here. Despite Gross’s misfire, active managers need to make risky wagers, even if they could go bust, if they are to outperform. Senators Bernie Sanders and Chuck Schumer argue that it’s necessary to put limits on how much stock companies can buy back and on the dividends they pay, and at least five declared or likely Democratic presidential candidates want to restrict how much stock U.S. companies can buy back from shareholders. It may be good politics, but it is an argument lacking supporting evidence. Instead of restricting share repurchases or dividends, we should make it easier for Americans to invest in America via the stock market. Amazon founder Jeff Bezos, President Trump’s foremost nemesis in the business world, has profited more than anybody else during the Trump presidency. Since the 2016 election, Bezos has become the world’s richest person, his net worth swelling by $66.8 billion, to $135.4 billion, making his fortune a third bigger than Bill Gates’s, and almost 50 times greater than the president’s, according to the Bloomberg Billionaires Index. Bezos also made big news last week by taking on The National Enquirer (leading to obvious jokes, such as “Alexa, destroy my enemies,” and an obvious New York Post cover). Under the headline “No thank you, Mr. Pecker” (referring to David Pecker, CEO of American Media, publisher of the Enquirer, and close friend and supporter of the president), Bezos posted the full text of emails from the publisher — including the cell numbers of two executives — that he said constitute “extortion and blackmail.” This will be a fight to watch. General Motors began more layoffs last Monday, axing 4,000 workers. The new round of cuts means GM has eliminated more than 14,000 jobs in the U.S. and Canada since November. Car dealers are beginning 2019 with a heavier inventory of unsold vehicles on their lots. Concerns about the government shutdown and a drop in new orders crimped the U.S. services sector’s pace of expansion in January. The Institute for Supply Management’s non-manufacturing purchasing managers index fell to 56.7 in January from 58.0 in December. President Trump gave his State of the Union speech last week. Mr. Trump said only three things stand in the way of an “economic miracle” taking place: foolish wars, politics, and ridiculous partisan investigations. Notably absent from the list of impediments was the Federal Reserve. A steady decline in foreign demand for U.S. government bonds hasn’t seemed to have the impact on rates some predicted. Foreign ownership of U.S. government debt has been decreasing since it reached a peak of about 55 percent during the financial crisis in 2008. Foreign ownership fell below 40 percent in November. A wave of bankruptcies is sweeping the Farm Belt as trade disputes add pain to already low commodity prices. SunTrust Banks and BB&T said they agreed to combine in a merger of equals valued at about $66 billion, an all-stock deal that will create the sixth-largest U.S. bank in terms of assets and deposits. New research casts further doubt on corporate welfare. When companies promise thousands of high-paying jobs in exchange for major tax breaks and incentives, those jobs often don’t show up. Maryland has become the latest state to propose a fiduciary standard for brokers and insurance producers. The SEC’s delayed best interest standard will likely come this fall. Domestic stocks moved higher last week, powered by good gains on Wednesday and Thursday. Communication services shares fared best within the S&P 500, helped by a sharp rise in Facebook after the company reported solid fourth-quarter earnings. Energy and industrials shares also performed well, with the latter helped by better-than-expected revenues from GE. A drop in longer-term bond yields weighed on the financial services sector by threatening bank lending margins. Fourth-quarter earnings releases drove much of the market’s trading, with 117 companies within the S&P 500 reporting results. Stocks fell Monday after disappointing results from NVIDIA and Caterpillar. Stocks regained momentum at midweek, however, after Apple reported a slight gain in earnings and a smaller drop in revenue than many had feared given recent press over falling iPhone sales. The benchmark 10-year U.S. Treasury note closed the week yielding 2.70 percent. The pan-European STOXX Europe 600 gained slightly, but its advance was tempered by ongoing Brexit and U.S.-China trade uncertainty, weak regional data, and news that Italy’s economy fell into recession. Chinese stocks gained as hopes for a possible trade deal with the U.S. offset concerns over an influential private manufacturing gauge that fell to its worst reading since 2016, the latest evidence of the country’s deepening growth slowdown. For the week, the Shanghai Composite edged up 0.6 percent and the large-cap CSI 300, China’s blue-chip benchmark, climbed almost 2.0 percent. Japanese stocks were flat to a touch higher last week. Last week’s biggest news, while obviously impacting the markets, was not directly market-related. According to the consensus view, two different trends have been moving markets of late. One is the China factor, which is manifested in two separate ways. The first of these is the health of the Chinese economy generally, a huge market for businesses around the world. China’s economic difficulties are sending shock waves worldwide as its growth is down to its slowest rate in three decades. At least 440 Chinese firms said their 2018 financial results deteriorated, with 373 saying they’ll post a loss. Roughly 86 percent of those incurring losses were profitable in 2017. The other part of this trend is the trade war between China and the U.S. Any sign of peace is deemed good for riskier assets (mostly stocks), and vice versa. The second trend is central bank action or the lack thereof. At the beginning of December, it seemed as if all the major central banks were set to tighten what had been remarkably easy monetary conditions, perhaps precipitously. Cheap money generally boosts riskier assets (mostly stocks) by providing greater access to capital and by pushing investors there in search of yield. After listening to Federal Reserve Chairman Jerome Powell’s press conference Wednesday, after the Fed raised short-term interest rates by a quarter point in December and signaled two rate increases were likely in 2019, and after nine well-telegraphed interest rate hikes since 2015, it now appears that higher rates are off the table, at least for now. The Fed might even dial back its plan to work down its bloated balance sheet. At his previous press conference six weeks ago, after boosting interest rates for the fourth time in 2019, Powell ushered in the final and most dramatic stage of the pre-Christmas sell-off in the stock market by sounding far more hawkish than anyone in the market thought possible. Now, he’s doing the opposite. The following sentence appeared in the Federal Open Market Committee’s December statement. That sentence was nowhere to be found in Wednesday’s statement, but the following sentence was added. “In light of global economic and financial developments and muted inflation pressures, the Committee will be patient as it determines what future adjustments to the target range for the federal funds rate may be appropriate. After just six weeks (and a significant market drop), the Fed went from a clear signal that more rate increases are likely to expressing the need for “patience” with no prediction about the future of rates. That’s about as dramatic a shift as you are likely to see from a central bank. That said, the market’s reaction to this news was far more muted might be expected. The benchmark 10-year U.S. Treasury note yields fell three basis points to 2.68 percent, having been as low as 2.54 percent at the start of the year, and at 2.89 percent on the eve of the previous Powell press conference, while the yield curve steepened. The S&P 500 had a good day, jumping 1.55 percent to bring its gain since the day before Powell’s previous press appearance on December 19 to 5.30 percent. The damage of the previous appearance, in other words, had already been undone in the stock and bond markets. In barely six weeks, we have gone from the Fed leading the markets to the other way around. A hawkish Fed generally leads to a stronger dollar, which makes life harder for emerging markets, undermines the U.S. trade agenda by weakening the competitiveness of American exporters, and impedes the dollar-denominated profits of U.S. multinationals. Now: the opposite. And it’s not just the Fed. A slowing global economy and low inflation has central banks around the world rethinking plans to pull back on financial stimulus. However, bear in mind that the last three times the Fed was forced to stop its rate hike cycle, a recession soon followed. Friday’s jobs report was outstanding. The economy added 304,000 jobs in January — significantly more than the 170,000 economists were expecting — while the unemployment rate ticked higher to 4.0 percent, reflecting the impact of the government shutdown. Average hourly wages for private-sector workers grew 3.2 percent from a year earlier. Neither the federal government shutdown nor market turmoil had any apparent impact on private hiring. The job market is also getting stronger. In the last three months job creation was its fastest in three years. Most notably, the U.S. is defying its demographic headwinds. The participation rate (the share of the population working or looking for work) is supposed to be falling as the baby boomers retire. Instead, it has climbed to 63.2 percent, a five-year high. 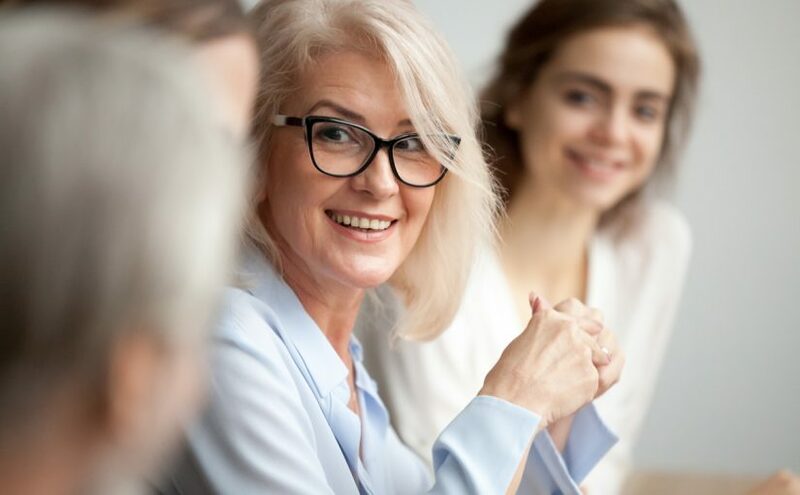 That’s largely thanks to surging participation among prime-age workers, especially women, whose participation, at 76 percent, matched its highest rate since 2003. Banks and smaller companies propelled stocks to their best January in 30 years, a sign that investors are favoring sectors tied to the U.S. economy. The Dow and the S&P 500 both closed with their biggest monthly gains since October 2015. The blue-chip index’s 7.2 percent rise was its best January performance since 1989, while the S&P’s 7.9 percent advance marked its best start to the year since 1987. The Dow and the S&P have each climbed 15 percent since Christmas Eve, their largest such percentage gain between the trading day before Christmas and the end of January since 1975, according to Dow Jones Market Data. From 1926 to 2016, just 90 stocks of 26,000 account for half of all gains. Europe’s economy is giving people the jitters. Investors are backing away from European assets, as worries over slowing growth and political uncertainty push the European Central Bank to rethink plans to tighten monetary policy this year. EU GDP grew at a tiny 0.3 percent in the fourth quarter of 2018, capping a year of low showings and as Italy slipped back into recession. Slow European growth is a concern for the global economy, too, particularly as China’s growth lagged last year, too. Greg Mankiw, Harvard professor and Chair of the Council of Economic Advisers under President George W. Bush, took a look at President Trump’s economic plan and found it wanting. The Department of Justice is seeking to shut down EcoVest, a sponsor of real estate investment programs, all focused on conservation easements, that it deems fraudulent. Overall, only 39 percent of Americans are well-disposed toward socialism, with older people and men particularly negative. However, 61 percent of Americans aged 18-24 have a positive reaction to socialism while the positives for capitalism are at only 58 percent. President Trump announced new sanctions against Venezuela, targeting the wealth of Nicolás Maduro. “The world’s democracies are right to seek change in Latin America’s worst-governed country,” The Economist writes in a lead editorial. The Treasury Department will have to borrow $1 trillion to pay for the government’s growing budget deficit, a consequence of increasing government spending and smaller revenues due to President Trump’s 2017 tax cuts. Meanwhile, the 35-day government shutdown eroded the economic benefits of tax reform and spending increases, according to the White House’s projections. $3 billion in economic activity was permanently lost to the shutdown, the Congressional Budget Office estimates. Even worse, the tax cut has had no major impact on business capital expenditures. New York’s top financial regulator will allow life insurers to use data from social media and other nontraditional sources when setting premium rates, although they will have to prove the information doesn’t unfairly discriminate. PG&E, which is California’s largest utility, filed for bankruptcy protection as it struggles with billions of dollars in potential liabilities from its role in sparking California wildfires, triggering one of the most complex corporate reorganization cases in years. As the two sides resumed talks last week, the U.S. and China were sharply divided on trade issues, suggesting a hard slog ahead of a March 1 deadline. However, progress was said to have been made and President Trump expects to meet with Chinese President Xi Jinping later this month to resolve the conflict that has rattled the global economy. Brexit keeps going nowhere fast. Pending home sales fell 2.2 percent in December, meaning almost 400,000 fewer contracts were signed to buy existing homes. It’s part of an ongoing slump that’s seen 12 straight months of year-over-year declines. It’s also the lowest December sales reading since 2013. Existing home sales had been trending higher but also reversed course last month, falling 6.4 percent from November to a seasonally adjusted 4.99 million sales in December. That’s down 10.3 percent from December 2017’s 5.56 million sales when the metric was moving in the opposite direction. More than 50 investment advisers are under pressure to settle federal claims they steered customers to mutual funds that charged excessive fees, even though asset manager fees are being squeezed generally. Meanwhile, the outsourced-CIO market is booming – and its influence is reverberating across the asset management industry. Do your Clients have enough Coverage from their Life Insurance Policy? 84% of Americans agree that most people either need or need more life insurance. However, out of those surveyed only 30% of them actually had any sort of life insurance coverage. Unfortunately, people do not think of life insurance as a necessity until it’s either too late or until they have a near death experience, both of which are instances when you can no longer buy it. Is there another product on the market that people want to buy the least when they can get it, and want it the MOST once they can’t get it? Perhaps nothing fits that description more than life insurance. Things like retirement income, disability/long term care, medical expenses, personal debt and living costs are much larger concerns of Americans nearing or in retirement. The great thing about life insurance is that even though the primary purpose is a death benefit, it can actually provide relief in all of those areas of concern mentioned. Long Term Care rider innovations over the past five to seven years, disability riders, chronic and critical care riders, and tax-free income are all features of… that’s right LIFE insurance! Perhaps the greatest act of love is purchasing a life insurance policy, not just for yourself but for those who you love. Let’s continue to remind our clients of all the things life insurance can do for a person outside of just providing a death benefit! Take a look at Asset’s new Life Insurance Needs Calculator to help your clients better understand how much insurance they should be buying. Contact our sales team with any questions or illustrations you may need! Social media is a term used to refer to the online communities (also known as social networks) of people who connect and communicate via specialized websites, and these websites have both similar and unique features. There are hundreds of different social media sites available to users, including those with broad appeal (e.g., LinkedIn, Facebook, Instagram, and Twitter) and those that are designed for a specific group of indi­viduals (e.g. Chegg Study for college/ university students seeking homework help, and Slack for work professionals to communicate with colleagues and connections from across the globe). For financial advisors, online social networking represents a powerful addition to traditional networking activities, such as meeting friends, acquaintances, friends of friends, and business associates at social and community events. Why is Social Networking so Popular? Social networking is no longer just popular, it is an integral part of our lives. It enables us to communicate with one another, regardless of location, sharing ideas and opinions, making new connections, or engaging with personal or professional content. Social media platforms allow users to do everything from viewing restaurant recommendations to checking in on loved ones and former colleagues. Promote your skills and your business, demon­strating your expertise to your peers, customers, and potential employers (in accordance with firm compliance guidelines). Reconnect and stay in touch with people that might otherwise drop out of your life due to various reasons such as a lack of time, changes in residence, etc. Express your personal views and values by sharing content related to your favorite people, places, things, and ideas with others close to you. Get useful feedback from people with similar attitudes about potential vacation destinations, restaurant recommendations, and any type of major purchase such as a car or appliance. Enable organizations (whether businesses, non-profits, civic/school/religious groups or social clubs) to foster dialogue and schedule gatherings among members and/or employees. Disseminate discussion materials for classes and encourage participants to exchange ideas via forums and chat features. Reach out to people with similar values to rally support for fundraising and to raise awareness of charitable causes. Highlight news and ideas that could have a positive impact on government policies; whether at the town, state, or national level. Create and distribute content for artistic, personal, or professional purposes such as videos, blog articles, imagery, music, and artwork. There are three types of social networks: profes­sional, open, and personal. Personal and professional networks usually operate by mutual consent of the participants; access is by invitation only, with users free to accept or reject someone as part of their network. Open networks, as the name implies, do not require approval to join and are open to everyone. LinkedIn is primarily intended to help business people contact other business people about jobs and industry trends, serving much the same func­tion as online versions of industry associations and trade groups. However, the network is also used to communi­cate with clients, identify new prospects, and share relevant video, imagery, and written content with respect to various industries. Open networks offer users the ability to communicate between any group of participants as well as share relevant content. Twitter, for instance, enables users to share (aka “tweet”) their thoughts, content, opinions, or reactions, as well as engage in conversations with others within a 280-character limit. Instagram allows users to share photos and video content with captions, and comment on other users’ content. Snapchat lets users send video or photo content to other users. Snapchat content, however, will delete after a certain period of time, which can be set by each individual user. 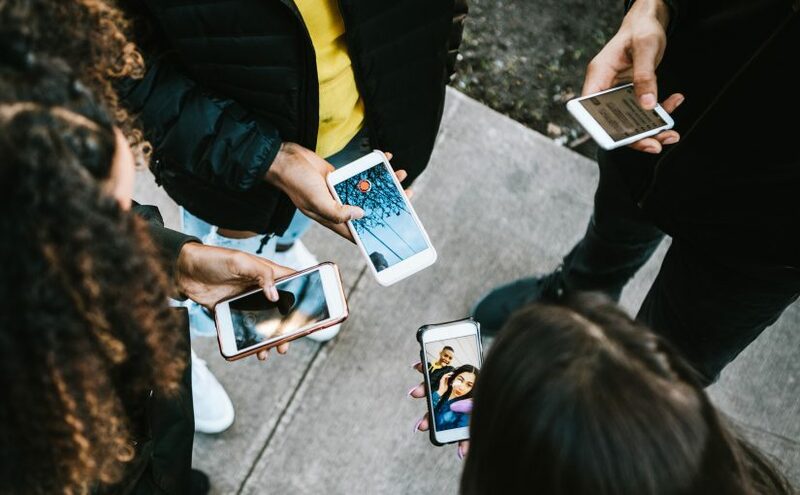 Primarily intended for socializing with friends and acquaintances, personal networks also have business applications, such as the promotion of products and services to potential buyers. Facebook, Instagram, and Snapchat, while personal in nature, all offer businesses the ability to have distinct “pages” on the platforms. Within these pages are native advertising opportunities, designed to reach a company’s target audience. Asset Marketing Systems offers a number of tools to get you going with your social marketing plan. Click here to download our how-to guides to posting ads to Facebook and LinkedIn. If you’re a financial advisor, call us today to learn how Asset Marketing Systems can help you.